Preface. INTRODUCTION. Introduction to Wetland Plants. Wetland Plant Communities. The Physical Environment of Wetland Plants. WETLAND PLANT SPECIES: EVOLUTION, ADAPTATIONS, AND REPRODUCTION. Adaptations to Growth Conditions in Wetlands. Reproduction of Wetland Angiosperms. WETLAND MACROPHYTE COMMUNITIES: FUNCTION, DYNAMICS, DISTURBANCE. The Primary Productivity of Wetland Plants. Community Dynamics in Wetlands. Invasive Species in Wetlands. 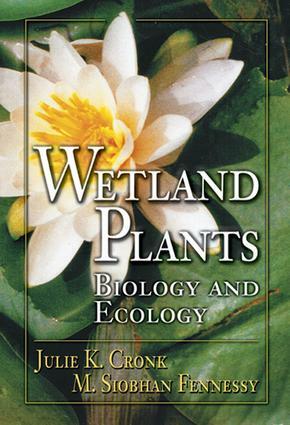 APPLICATIONS OF WETLAND PLANT STUDIES. Wetland Plants in Restored and Constructed Wetlands. Wetland Plants as Biological Indicators. Appendix. References. Index.